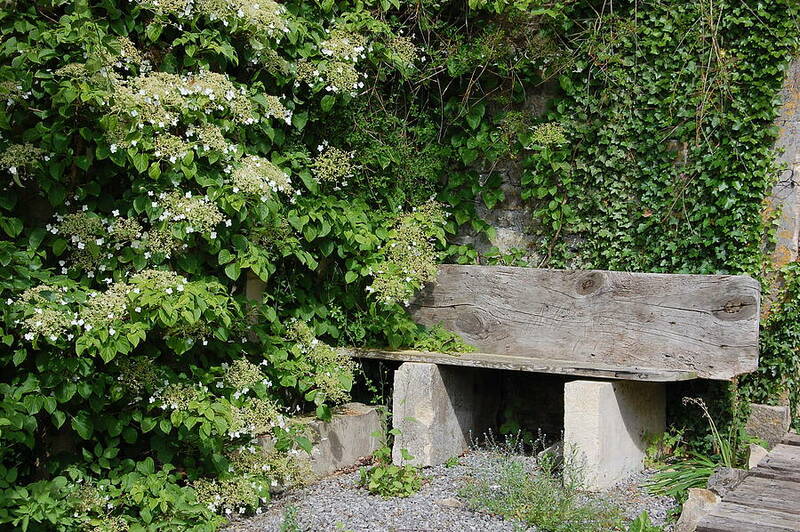 Use it in the bath - just a capful - and the mandarin with geranium aroma will lift your spirits. Use it to soothe very dry, wrinkled skin: ot is very quick to absorb into the deepest layers of the skin to do its work. 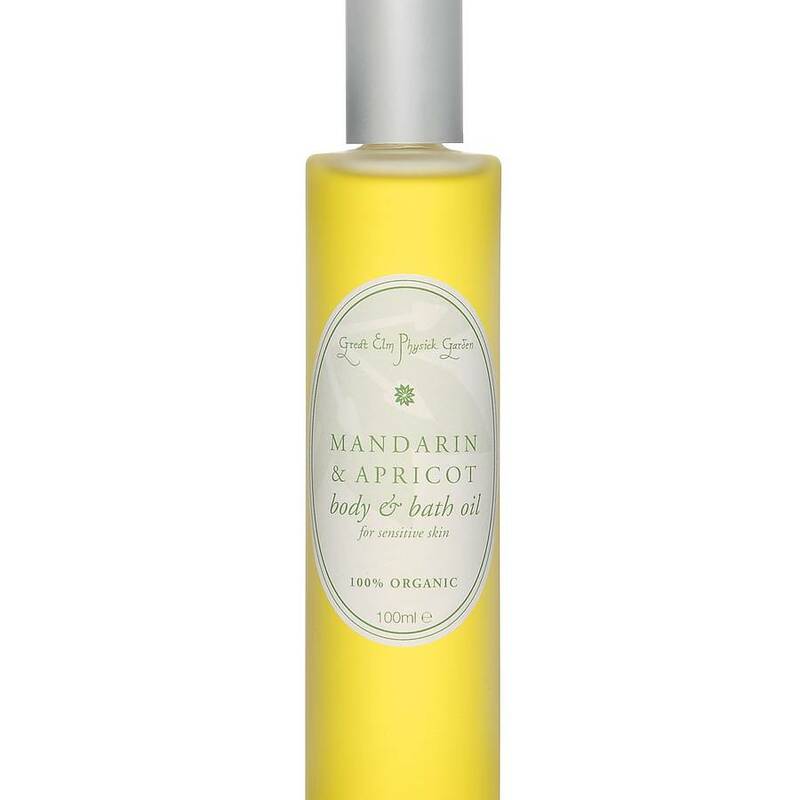 A mood-lifting, skin-enhancing body oil, highly suitable for sensitive or distended skin. 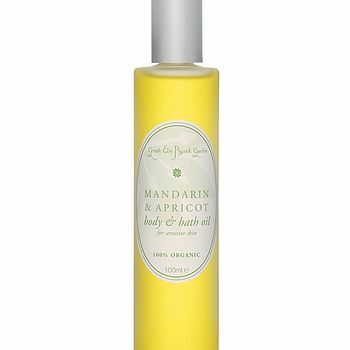 The delicious sweet and gentle citrus smell of mandarin brings smiles of pleasure and delight. 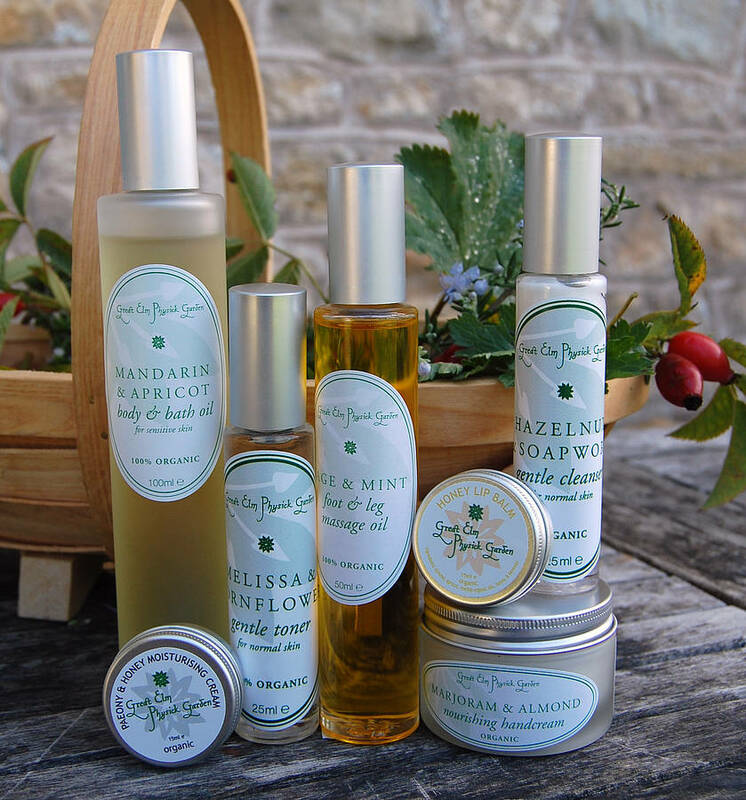 Not only does it smell divine but our pure blend of organic plant and aromatic oils will nurture and nourish your skin. Mandarin and lemon verbena help restore elasticity to stretched skin; rose geranium works on suppleness; ginger stimulates blood circulation and can help with minor bruising. Apricot and sunflower oils are easily absorbed, full of nutritional Omega oils with vital vitamins A, E and D, so beneficial to healthy skin and so often lost in modern diets. Non-greasy. We have not added any artificial preservative: essential oils contain their own, naturally-occurring anti-degeneration mechanisms which are strong enough to keep this oil from deteriorating for at least 90 days after opening. It's pure. It's effective. It's heavenly. SKIN TYPE: Sensitive or distended skin. Stretch-marks can benefit. Ingredients: Helianthus annuus (sunflower)oil *, Prunus armeniaca (apricot kernel) oil*, essential oils of Citrus reticulata (mandarin)*, Pelargonium graveolens (rose geranium)*, Lippia citriodora (lemon verbena)*, which contains limonene. *Certified organic NOTHING ELSE. 100 ml frosted glass bottle, tall aluminium cap.